Even though we live in one of the safest areas in Minneapolis, there are simple ways to help you and your neighbors be safe this summer. Summer is when most cities see an increase in property crime. As the weather warms up people spend more time outside and open their windows and doors, increasing the opportunity for crime. We want to remind you to keep doors locked and windows closed and locked, even when you’re home and even when you’re working or relaxing in your yard, just as you would when you leave your home. Stay vigilant and prevent “sneak-in” burglaries over the summer months by following this advice and other key home safety tips. Under 12 years old: weekdays, home by 9 p.m. Fri. & Sat., home by 10 p.m.
12-14 years old: weekdays, home by 10 p.m. Fri. & Sat., home by 11 p.m.
Parents should be aware of where their children are going and set guidelines as to when they should return or check-in. Never leave children unattended or unsupervised near bodies of water. This should include area lakes, swimming and wading pools and hot tubs. Register your bike (or call 311) and record the makes, models, serial numbers and descriptions and keep this information in a safe place. Keep your bike, mower and other items you value in a locked garage. 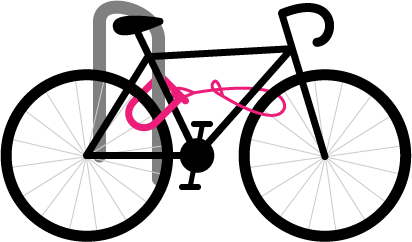 Be sure to lock your bicycle to a stationary object and make sure both wheels are locked. The best locking device is a hardened steel u-shaped lock. Remove any accessories that can easily be taken. If you’re working in the front yard, lock the back door and garage. If you’re working in the back yard, lock the front door and garage. Don’t keep ladders or other equipment in the yard that could be used to gain access to your home. Keep shrubs, bushes, hedges, and fences to a height of three feet or less. Residential lighting should be used to light up home entry points. Motion detector lights are an inexpensive deterrent for areas where continuous lighting is unnecessary. Don’t advertise your vacation plans. Ask a trusted neighbor to pick up the mail and papers and to cut grass. Use light timers which will turn two or more lights on and off at predetermined times, similar to times when lights would be on or off normally. The living room and at least one bedroom would be good choices. Lock your doors, even if you are leaving only for a short time. It seems obvious, but many criminals are looking for an easy opportunity, like an unlock door on a car, garage or home. For your vulnerable sliding doors, you can add extra protection with a bar, track lock or slide bolt. The police also recommend conducting a home inventory, to record the serial numbers and other important details for your valuables. In the event you do experience a loss, this information can help recover your property. Park your vehicle in well lighted or supervised/patrolled places. Never leave anything of value in your vehicle. Even coins, sunglasses and cords may be a target for a thief. Take your garage door opener inside with you if you park on the street to prevent a car break-in leading to a home break-in. Most of us want to be able to leave a window open during these warmer days. 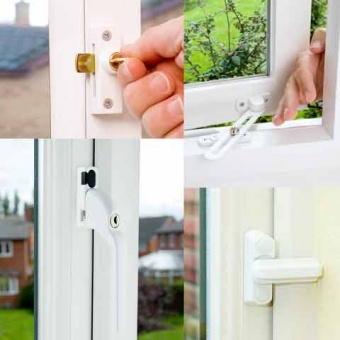 To help prevent the window being opened wider, you can install a window lock that will prevent the window from opening further. Most of the locks can be disabled for you to open the window further when you are home, and these only cost a few dollars each. You can contact our Crime Prevention Specialist, Jennifer Waisanen, for a home security check. She will come to your home and do a personal walk-through of your home and yard and show you ways to improve your home security.